Before I entered the health and fitness field, I was an engineer. I studied mechanical engineering in college, minored in mathematics, and then designed bridges for a few years before starting my coaching career. As a result, when I read strength and conditioning books, I see mathematical equations where others just see images that help us understand concepts. 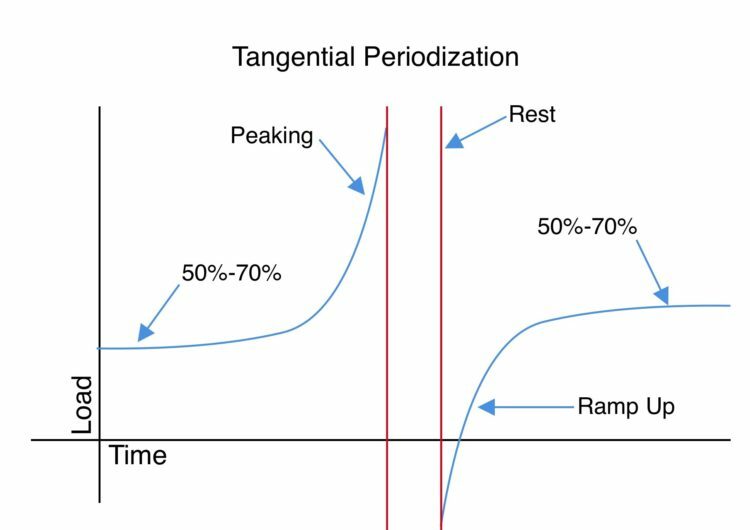 I look at periodization graphs and immediately think of the equations that represent them. 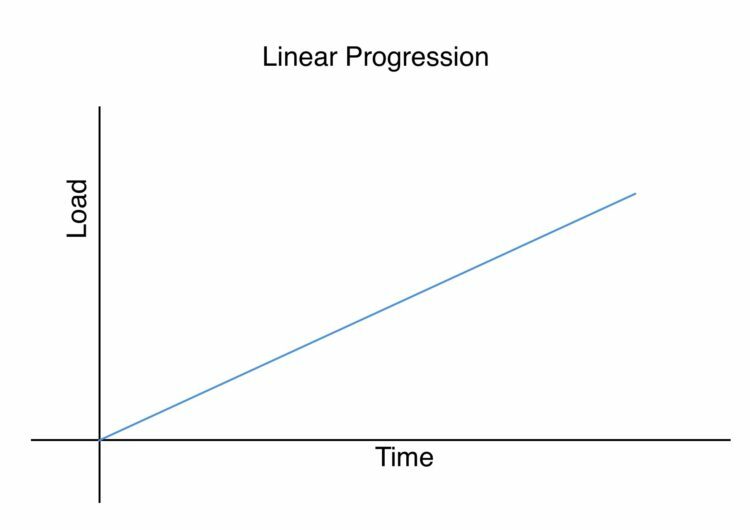 Linear progression is plotted with the line equation: y=mx+b. Undulating training cycles are sine graphs that trend upward over time. 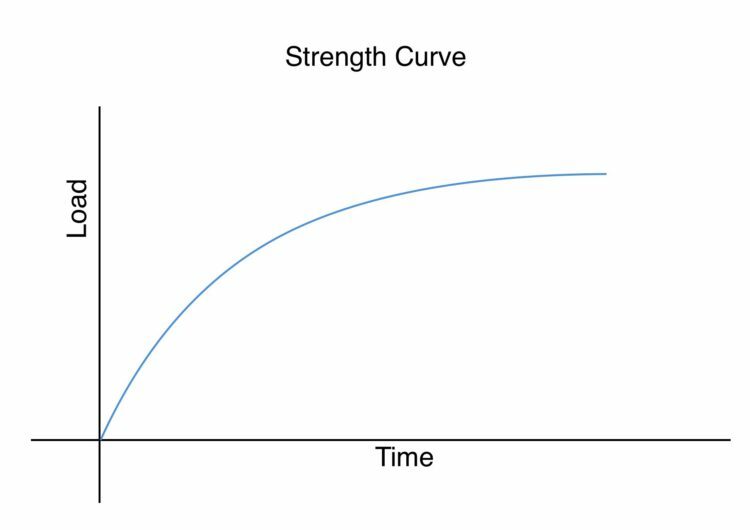 The strength curve that tracks a raw beginner to an advanced lifter is represented by the square root function. All of these equations and models fit into theory nicely. They are smooth curves that look great when printed in glossy covered books. For years, I tried to replicate them in my own training and with my clients, but it never had the success I had hoped for. When I started lifting, I had dreams of adding five pounds to all of my lifts every week until I was as strong as all the athletes I looked up to. It wasn’t long before I realized that I wasn’t eating nearly enough to maintain that linear progress and likely never would. That perfect line of linear progression wasn’t going to get me to my goals so I looked for other training options. My next attempt was using undulating periodization. Using incredibly detailed spreadsheets, I came up with perfect rep ranges and percentages of my one rep maxes to ensure never ending progress. The geek in me loves spreadsheets, especially ones that merge my love of training with my propensity for math, so this was a fun exercise. Now that I think about it, if I spent as much time training as I did creating the perfect spreadsheet, I’d probably be a lot stronger. How does the beautiful sine graph play out in reality? The ramp up goes as planned. We start where we are supposed to and increase every workout. Then the first trough comes along and it feels too easy, so we cut that cycle a little short and don’t go as light as we plan to. We start another trip up the curve following the spreadsheet as written. Again, at the top, we get impatient and cut the deload short and rush back to increasing our load again. This one doesn’t go as planned though. It leads to a crash straight to the bottom. 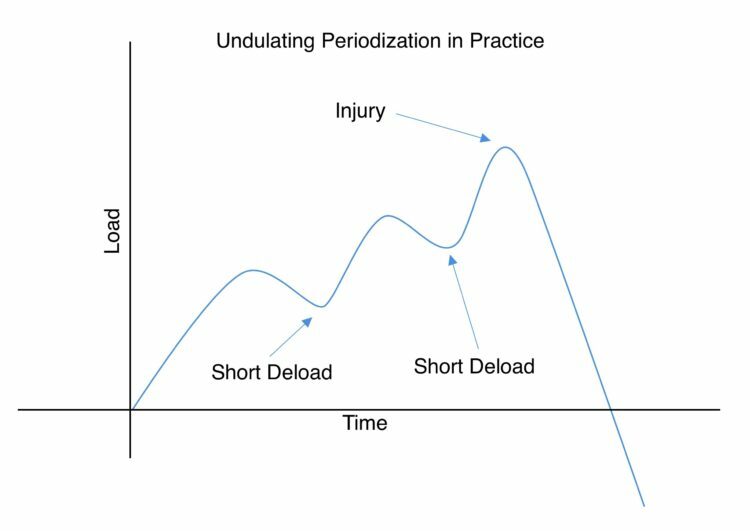 It has been my experience that using undulating periodization usually results in injury or overtraining, creating a major setback that often takes months to recover from. 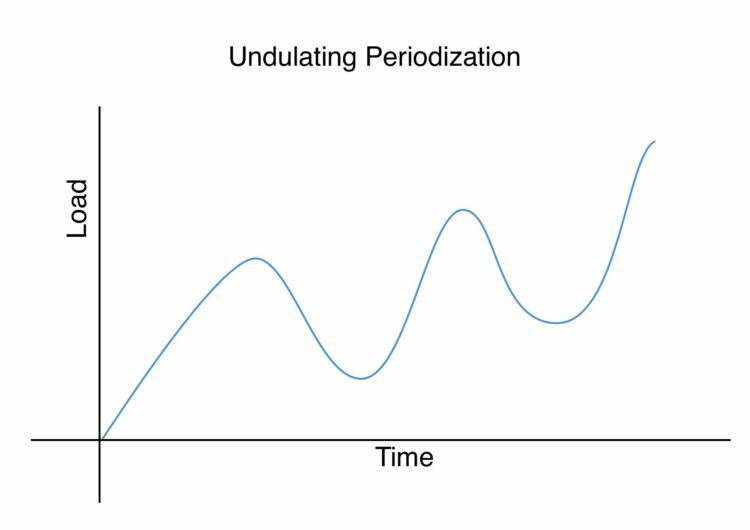 This is what Undulating Periodization looks when most people use it. This is not a flaw with the method; it’s a flaw with the application. I will be the first to admit that the problem with this approach is our unwillingness to follow the plan. Had we truly followed the spreadsheets in the troughs as well as the peaks, I’m certain we would have had better results. That’s our fault, not the program’s. However, I know from my years of coaching that I’m not the only with this problem. Most of us are terrible at following the plan when it requires us to go easier than we are used to especially when we try to push our max up constantly. There are plenty of keyboard warriors that will tell me I’m wrong on this, but those who can follow a plan perfectly, are a very rare breed and the footage of them is as grainy as the Big Foot video and equally hard to come by. Several years ago, I discovered Easy Strength by Dan John and Pavel Tsatsouline and finally had a program that worked for me. It didn’t require pushing my limits, the volume was at a reasonable level for my body and the need for the typical deload was almost nonexistent. 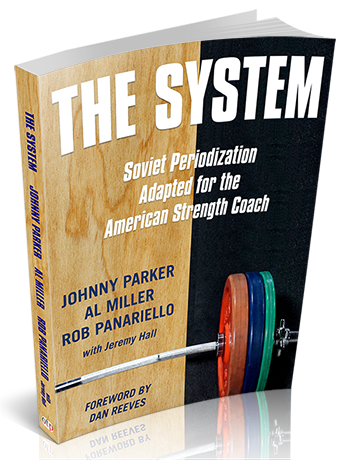 It took a couple of years following this system to begin thinking about it as a periodization model and come up with the mathematical representation for it, but once I did, I knew I was on to something. The key was in the equation that describes Easy Strength: the tangent equation. The tangent equation is also a trigonometric function that also cycles like the sine function. It is defined by the sine function divided by the cosine function. There are a few key features of this graph that deserve explanation. The first is where I’ve shown the graph starts: a steady horizontal line ever so slowly trending upward. This line represents 50%-70% of total capacity. This is an easy level to maintain indefinitely. Injury risk is incredibly low and fatigue is rarely a factor when training at this load. The next portion of the graph is the peaking phase. Here is where training intensity increases rapidly. This is counter to the gradual increase of other models. Instead of slowly increasing load over several weeks, you seemingly go straight to your max in a dramatic increase in intensity. 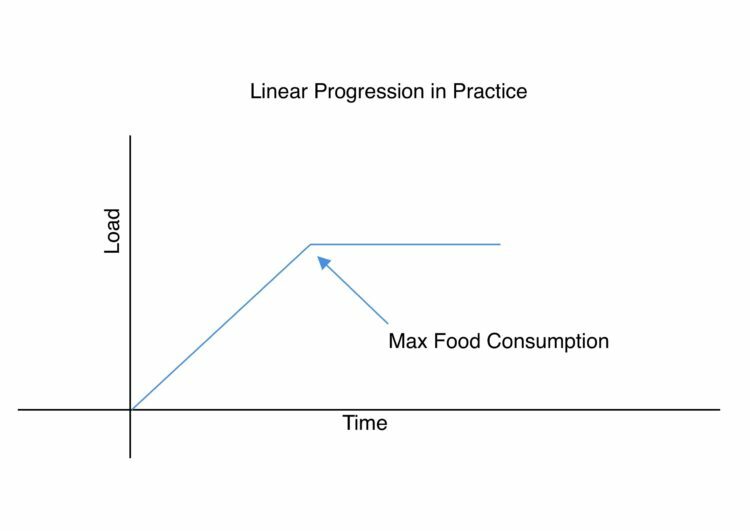 If you are training for competition, this is the week or two before where you get used to feeling load again right before you are forced to attempt maximum effort. That max effort is obviously the peak of the graph. The third phase is actual rest. Not a pretend deload where you drop intensity a little bit for a week or two. Rest. There is a gap in this section of the graph because you’re not lifting here. After a maximal effort, the body and mind need to recover. Sleep as much as you can, eat a little extra and recharge for the start of the next cycle. The final phase is the ramp up back to 50%-70% which is a little higher than before. Just like the ramp up to our max, this is also a very short transition as the body is fresh from the time off it was just given and it doesn’t require a great deal of preparation to get back to 50% load. The vast majority of your training is spent at easy to moderate levels. Peaking is done quickly and to extremes. You take real time off to recover and then ramp back up to your “normal” level again as quickly as you peaked. You complete 40 workouts over the course of about six weeks. Each workout has the same four to six exercises that hit every major movement category. You complete ten reps of each exercise and never miss a rep. Most of the workouts are two sets of five at a reasonable intensity. Sometimes you do ten singles and other days you do three sets of three. The sets and reps aren’t the important part; your goal is to keep the workouts reasonable and repeatable. At the end of the cycle or when you are feeling especially strong, which frequently happens around day 25-30, you test yourself with a workout of 5-3-2. The final double should be as close to a max as you can hit confidently without missing. Finally, after recovering for a day or two, you do an easy set of ten and get back to your normal level of reasonable and repeatable. For those that actually complete this program, the results are always the same. All of the workouts feel easy including the heaviest workout that usually results in a PR. Dan uses this model on an annual time scale as well. That long middle section where the graph is fairly flat is what Dan calls “punch the clock workouts.” You go to the gym, do the work and go home. No need to bash your head against the bar to get psyched up for a lift. Just do some reasonable work and call it a day. A few times a year, Dan recommends intense training cycles that really push your limits. Mass Made Simple is a great example of this. Over six weeks and 14 workouts you work up to a very high rep set of back squats at your bodyweight. It’s intense, it accelerates quickly and it works. When I completed the program, I put on 15 pounds in six weeks and was as strong as I ever have been in my life. After a truly intense training cycle, and Mass Made Simple qualifies, you rest. There is no other option. Intense training requires total focus for the entire program. In the case of Mass Made Simple, just trying to consume the needed food to go with the program required constant effort and planning. Once you complete a program like this, you must give your body a break. The break is best spent reflecting on the experience and trying to identify lessons you can use in your future training. After a brief time off, you ramp back up to your punch the clock workouts and settle into a reasonable long-term program until it’s time to for another intense block. Do all of your endurance training at a heart rate of 180 minus your age. Phil has a few adjustments for current condition and a few other considerations, but 180 minus your age is the standard I’ll use to illustrate the point. For most people, this heart rate is pretty low. After a decent warm up, you’re probably close. The pace required to maintain this heart rate will feel easy and slow, somewhere around 50%-70% effort. Phil has plenty of data to back up this method and the results demonstrate its efficacy. His most elite runners have recorded five-minute miles never going over this heart rate limit and he believes around 90% of the population can break seven minutes without getting out of the aerobic zone. This would constitute a major improvement for most of the runners in the US. Also like the 40-Day Workout, not all of the training is done at this “easy” level, just most of it—around 80%. The remaining 20% is spent working on speed, strength, and the other aspects of training that will translate to better performance on race day. The majority of that 20% is what is required for peaking just like the 5-3-2 workout or the six-week intensive program described above. Both of these coaches have decades of experience using this tangential model and it has produced excellent results. I’ve have used them almost exclusively in my training and with my clients for the past several years and the results have been far better than with any other model of training. Implementing this approach comes down to reasonableness. What is a reasonable level of load that you can maintain for weeks and months without stopping? That level will be different for each person, but it will likely be less than you imagine. 50%-70% is a good guideline. Once in a while, either for a few workouts or a few weeks, ramp up the load and push yourself. This reminds your body what intensity is like and will help you recalibrate your new “reasonable” after a short time off. Always remember this is a long-term approach. Even with a short program like the 40-Day Workout, the goal is to nudge up your 70% level over time, not constantly increase your max every week. The tangential models is about improving over years and decades rather than adding 20 pounds to your bench this month. If there’s one thing I’ve learned in my years of training and engineering it’s this: the longer it takes to build something, the higher it will go and the longer it will last. This applies to bridges, relationships and your fitness. I’m not saying we need to abandon the other models. They certainly have their place, but I think most of us would benefit from experimenting with a more reasonable and sustainable approach when the other models aren’t working. I would encourage you to experiment with this model and see if your results are similar to those that use Easy Strength, those that train using Phil Maffetone’s method and mine. I am sure they will exceed your expectations. Brian Gwaltney was trained as an engineer but discovered his passion for strength training shortly after college. He quickly became obsessed with all things health, fitness, and nutrition and began working as a personal trainer in Alaska. Forever wanting to improve, he continued his education by studying with the best coaches in the Industry including, Mike Boyle at MBSC. 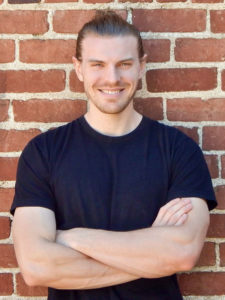 He also earned a Master’s Degree in Health and Nutrition Education and became a licensed massage therapist to better understand the body. Brian has spent most of the last 10 years actively running gyms and helping clients become the best version of themselves possible. 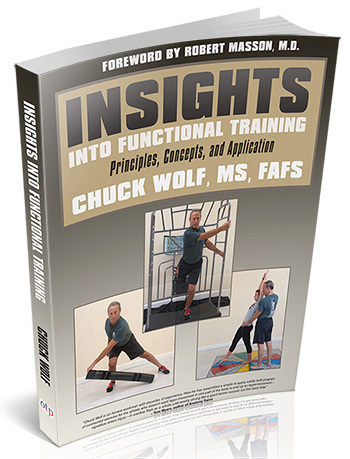 While studying human function is an evolving and continuous process, comprehension of function will help you view movement from a new perspective that will lead to a paradigm shift in your exercise program design. This book will help you develop consistent skills based on human movement and help you enhance function through creative latitude while adding multiple tools to your productive toolbox. We study functional anatomy to understand how motion is a product of the cause and effects of movement, limitations, compensations, and the resultant actions. Based on an understanding of the continuous thread of connective tissue, adjacent muscles, and soft tissue, we can view motion and begin to ask the very important questions of what?…how?…when?…why? The answers to those questions will guide us in treatment and exercise programming for our clients and patients. In Intervention, Dan John provides you with a clear and systematic approach to coaching and training. From assessments to rep schemes, to exercise selection, to exercise programming, Dan covers it all, and gives you step-by-step process for designing effective training programs for any and every person. In this talk, strength coach Mark Roozen discussion the concept of periodization, and gives examples. This take came out of his work with police and tactical units, however it's applicable to other training groups and group needs.